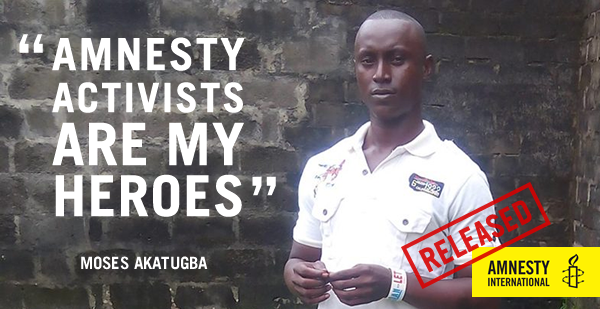 and helped free torture survivor Moses Akatugba from death row in Nigeria. Moses, like many other people we work to free and support, has promised to continue to build the human rights movement—helping create a better world for all of us. Other former prisoners and survivors go on to lead or join human rights movements in their countries, passing laws, changing policies, demanding accountability and working to bring justice for all. Last year’s AmnesTEA was my introduction to Amnesty International’s annual Write for Rights campaign. Because I truly experienced global solidarity, fostered through the collective condemnation of human rights abuses and demand for justice, I’ve been looking forward to it again all year. Write for Rights gives all of us an opportunity to collaborate and campaign on 12 strategically chosen cases from around the world and here in the United States. At times, it can feel like our individual and student groups’ efforts are small and isolated, but every December, Write for Rights events remind us that our groups are part of a larger community that transcends borders. 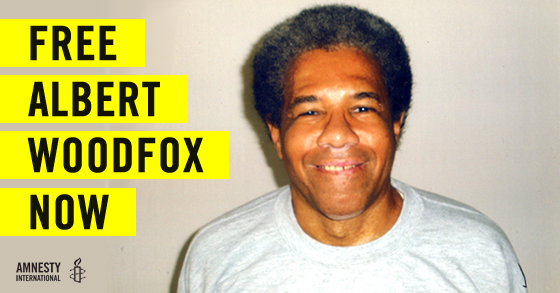 This year, I am intent on writing letters to Louisiana’s Attorney General about Albert Woodfox, who has spent over four decades in solitary confinement in Louisiana for a murder that he maintains he did not commit. There is no physical evidence linking him to the crime, his conviction has been overturned three times, and a judge has ordered his unconditional release. Yet, the Louisiana authorities continue to block his release. Freedom for Albert Woodfox is long overdue, and with Write for Rights letters from around the world, Louisiana’s Attorney General will know that the world is expecting an end to Woodfox’s cruel and inhuman treatment. 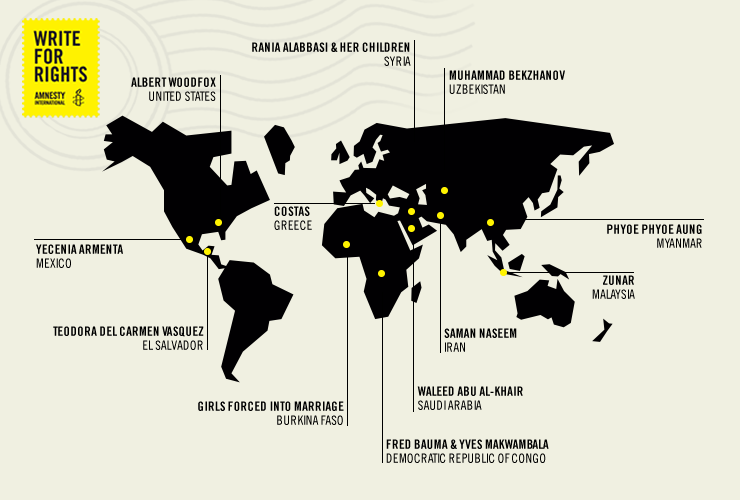 To build an even more powerful movement, this year Amnesty International USA is doing more. Last summer, I worked with the Individuals at Risk team to contact high school and college teachers around the United States. Right now, we’re reaching out to educators around the country, offering our Educator’s Guide to engage in discourse around human rights and to encourage their students to take action on this year’s cases. With increased student and educator involvement, not only is our youth movement growing, but even more actions will be taken this year than ever before. By increasing the number of letters we generate exponentially, the targeted authorities will have no choice but to address Amnesty International’s demands. 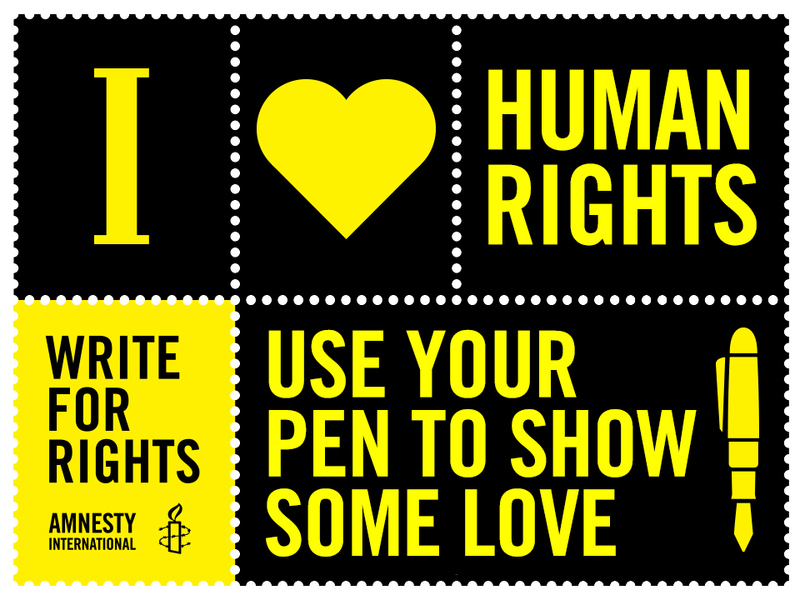 Join me and thousands of other individuals for Amnesty International’s largest grassroots action by hosting a Write for Rights event, and our letters will have the collective power to influence government officials, pushing for justice around the world. 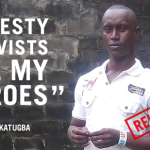 This entry was posted in Amnesty Members, Prisoners and People at Risk and tagged Activism, activists, amnesty international, human rights, human rights day, students, Write #4 Rights, write for rights, write4rights by Guest Writer. Bookmark the permalink. Time to Start Writing, Stamping, and Sending! Creating Vision and Mission Statements are key Strategies for Creating a Brighter Future, achieving goals or taking yourself or your business, group, organisation to the next level.